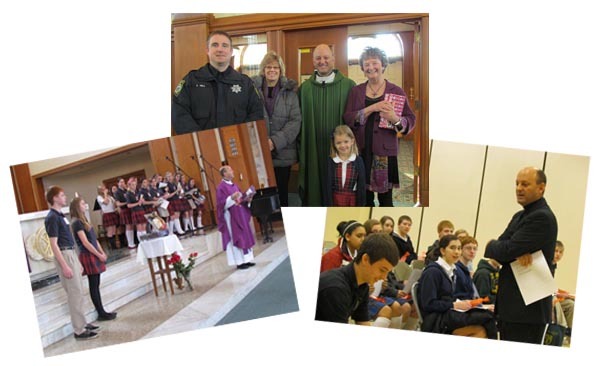 I am pleased to welcome you to the Catholic Schools Office webpages that highlights the core values in Catholic education in the Diocese of Joliet, where We Teach More. Encounter with Christ in the Church is at the heart of the mission we share in Catholic education. The values we emphasize every day in every school across the diocese give form to our encounter with Christ. Foremost among what we value is that dedicated Catholic educators incorporate faith into our classrooms no matter the subject. Our students learn in a nurturing environment where high expectations find balance with love and respect. Knowing the sacrifices that parents make to send their children to Catholic school, we value the collaboration with families that happens through open and candid communication. We also hold our administrators, teachers and students to a higher standard and expect them to exemplify the life of Christ both inside and outside of the classroom. Lastly, we constantly look ahead to ensure that our schools remain vibrant so that they continue to form Disciples of Christ. The result of what we value is evident every time one visits our schools: the joy-filled hearts of students and the profound and enduring goodness that Catholic education brings. We are delighted that parents of more than 22,000 students in grades from pre-K to 12 have chosen to embrace the core values of Catholic education for their children. After all, our core Catholic values unite us, from the office to the farthest corners of the playground. In the labs, on the playing field, in the lunch line and in the classroom…..this is who we are and why we are here.